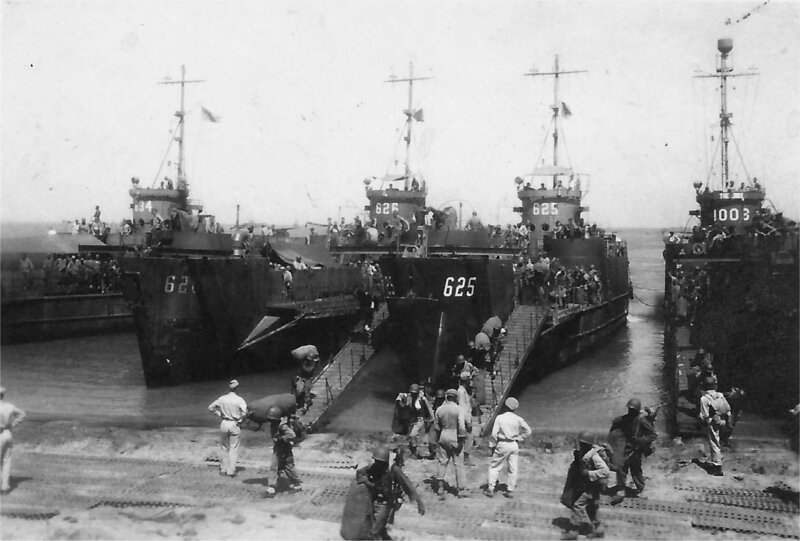 Laid down, 4 May 1944, at New Jersey Shipbuilding Co., Barber, N.J.
96k USS LCI(L)-625, one of 16 LCIs staging out of Morotai, landing Australian 9th Division troops at Balikpapan, Borneo, 1 July 1945. The beach was devastated by 3,000 tons of bombs, 38,000 shells, 114,000 automatic weapon rounds, and 7,000 rockets. There were dead Japanese but no beach opposition. 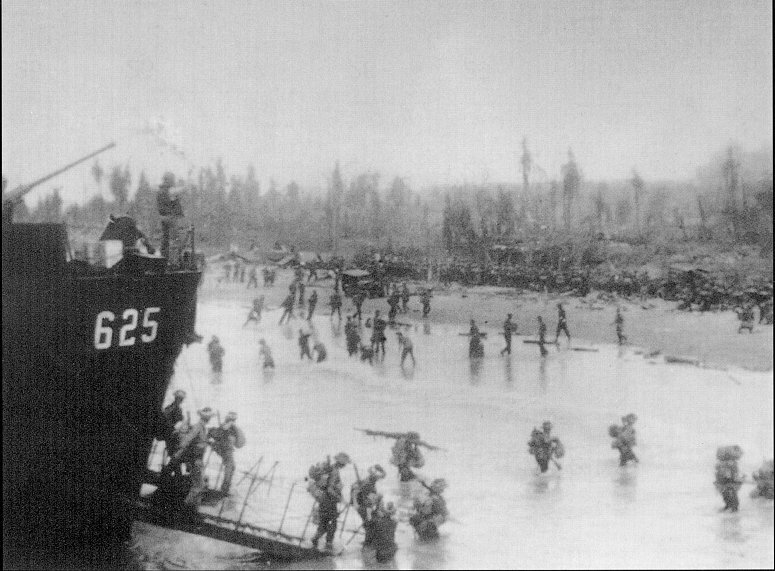 This was the last amphibious landing of WWII and the 56th landing of the Seventh Amphibious Force. Photo from the USS LCI National Associations 2006 Calendar. Submitted by Ardie Hunt, Courtesy of Ray Pickering.